The shooting at a Pittsburgh synagogue left 11 people dead. 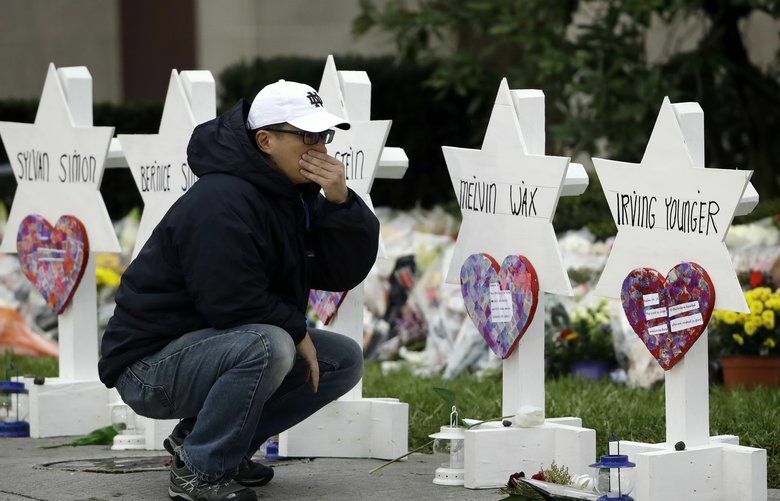 It was likely the deadliest attack against the Jewish community in U.S. history and comes amid rising anti-Semitism in America, according to the Anti-Defamation League. 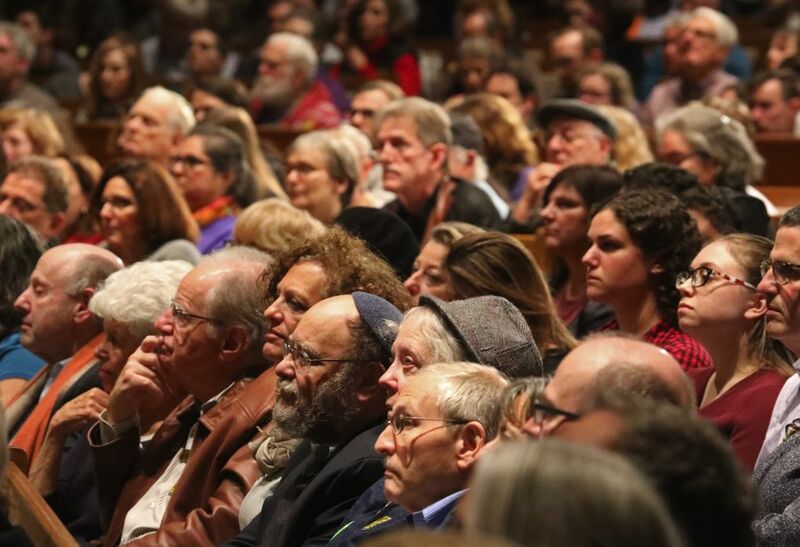 Lining the edges of the standing-room-only sanctuary, watching from overflow rooms and singing outside, thousands of people gathered Monday night at Temple De Hirsch Sinai in Capitol Hill to mourn the victims of a shooting at a Pittsburgh synagogue over the weekend. Inside Temple De Hirsch Sinai, local Jewish leaders sang, prayed for the dead and lit candles in their honor before the large gathering Monday. At one point, chants from the crowd outside could be heard in the lobby of the temple. “Let there be acceptance and love,” the crowd chanted. Rivy Poupko Kletenik, head of the Seattle Hebrew Academy, said she once lived in Squirrel Hill, the Pittsburgh neighborhood where the shooting took place. “No place is perfect, but it was close,” she said. Attendees at the local gathering said they were seeking solidarity in a time of fear. 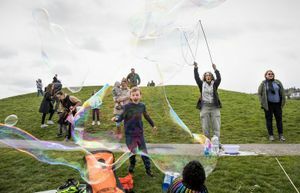 Anti-Semitic violence presents the Jewish community with a choice, said Rabbi Samuel Klein, director of Jewish engagement at the Jewish Federation of Greater Seattle. In 2006, a gunman shot six people, killing one, at the Jewish Federation. During the vigil, Gov. Jay Inslee and Seattle Mayor Jenny Durkan urged resistance to hate and violence. “We must not lose how we feel at this moment,” Durkan said. 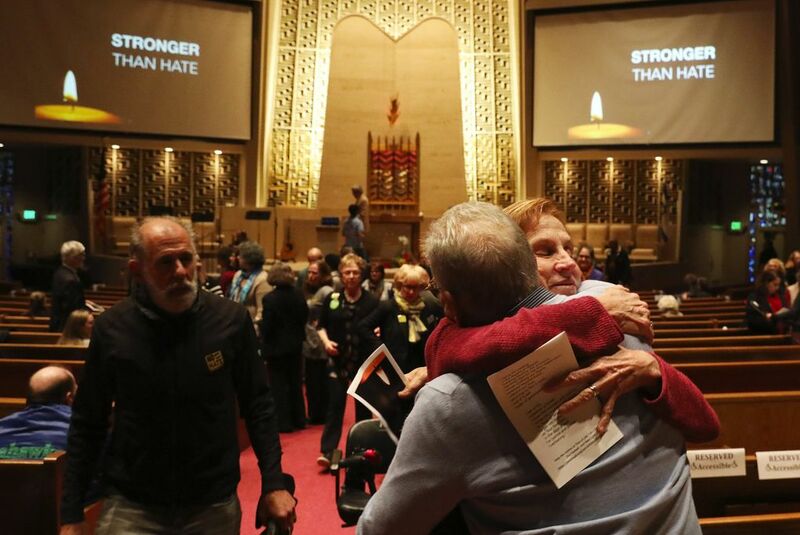 In the days following the shooting, Seattle synagogues have worked to comfort the local Jewish community. Rabbi Shmuly Levitin of Chabad of Downtown Seattle said he has seen an outpouring of support and outrage. “The response I’ve witnessed shows the moral clarity of Americans everywhere,” Levitin said in an interview. 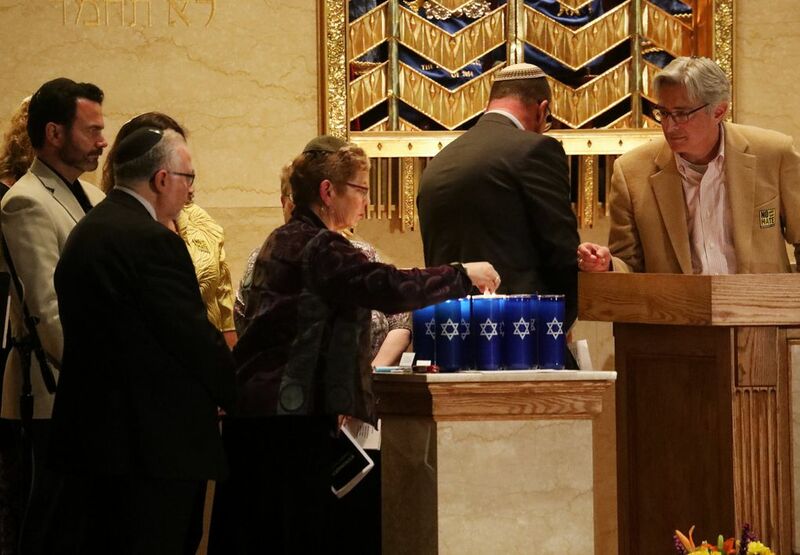 The shooting was likely the deadliest attack against the Jewish community in U.S. history and comes amid rising anti-Semitism in America, according to the Anti-Defamation League (ADL). 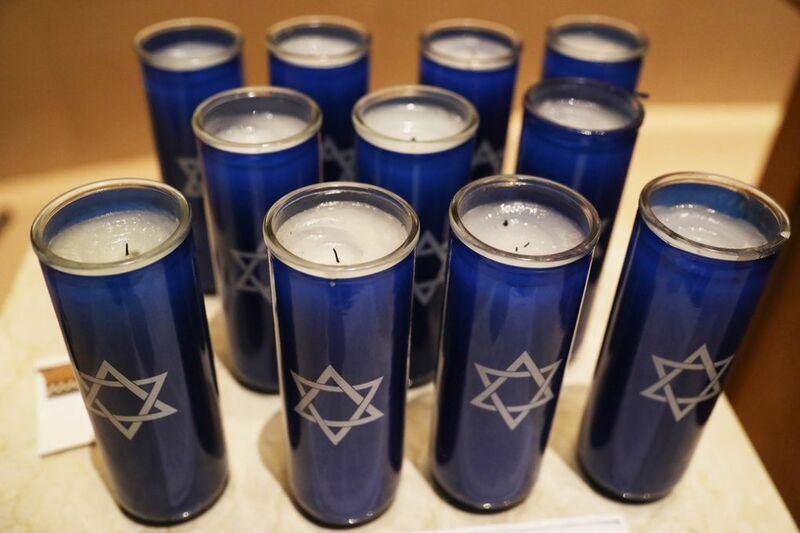 Anti-Semitic incidents surged 57 percent in 2017 from a year earlier to almost 2,000 across the U.S., according to an ADL report. That’s the highest number since the New York-based nonprofit started keeping records in 1979. In Washington state, those attacks rose almost sevenfold last year to 20, the data shows. The incidents included the desecration of cemeteries in Indiana, Missouri, Pennsylvania, New York, Connecticut and Massachusetts. 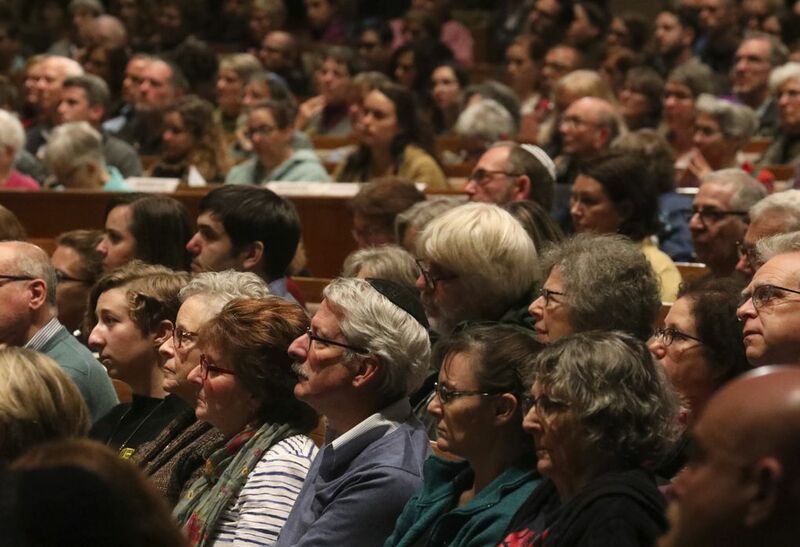 In Washington state, incidents spanned the state, from Holocaust denial graffiti at Temple De Hirsch Sinai to online harassment targeting an event with a Holocaust survivor in Spokane and banners stating “Jews did 9/11” displayed in Vancouver and Woodinville. 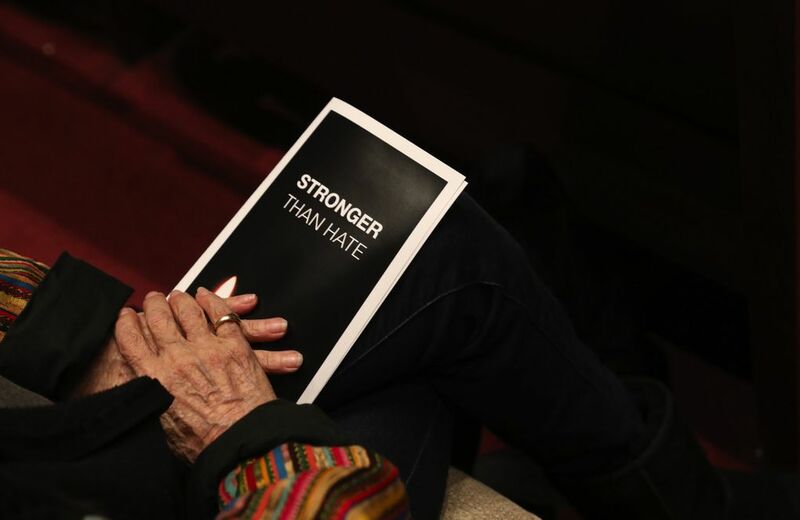 In the wake of the Pittsburgh shooting, the Holocaust Center is boosting efforts with Seattle-area teachers to address anti-Semitism and hate in their classrooms. Seattle Times staff reporter Matt Day contributed reporting. Information from The Associated Press was used in this report. This story has been updated to correct the name and affiliation of Rabbi Shmuly Levitin.